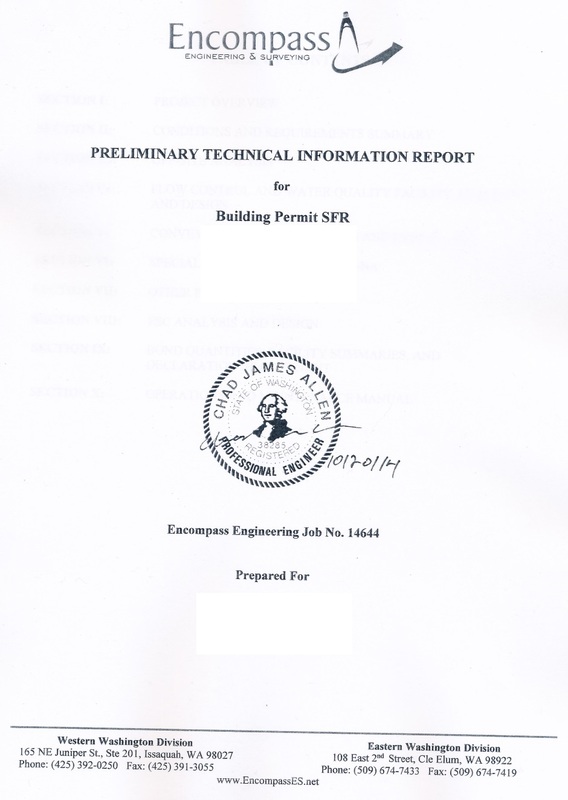 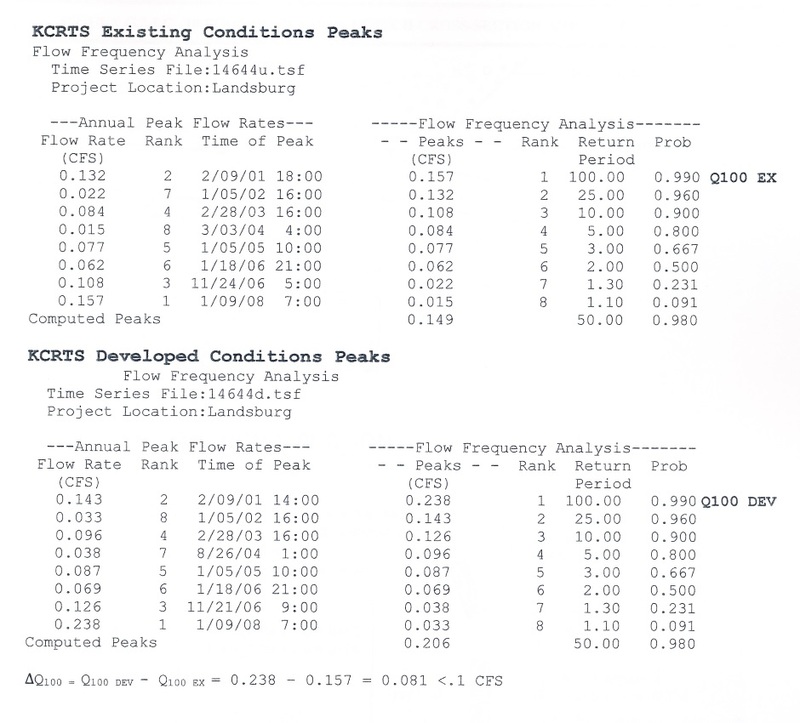 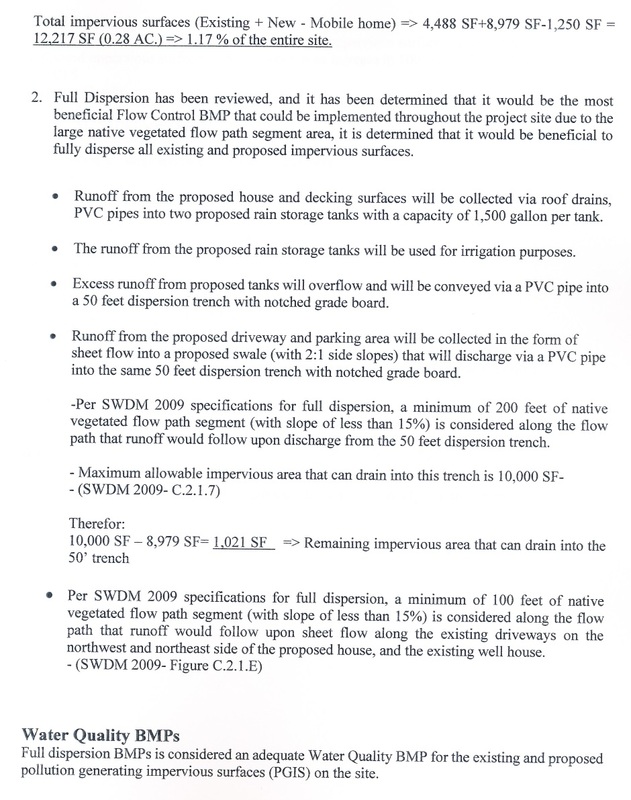 It is likely that the building department will want a drainage plan done by a licensed engineer. 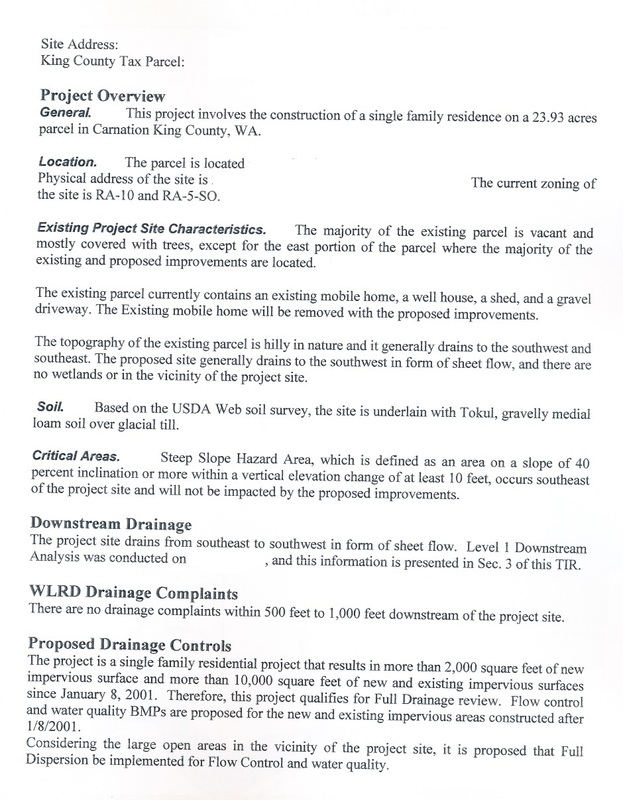 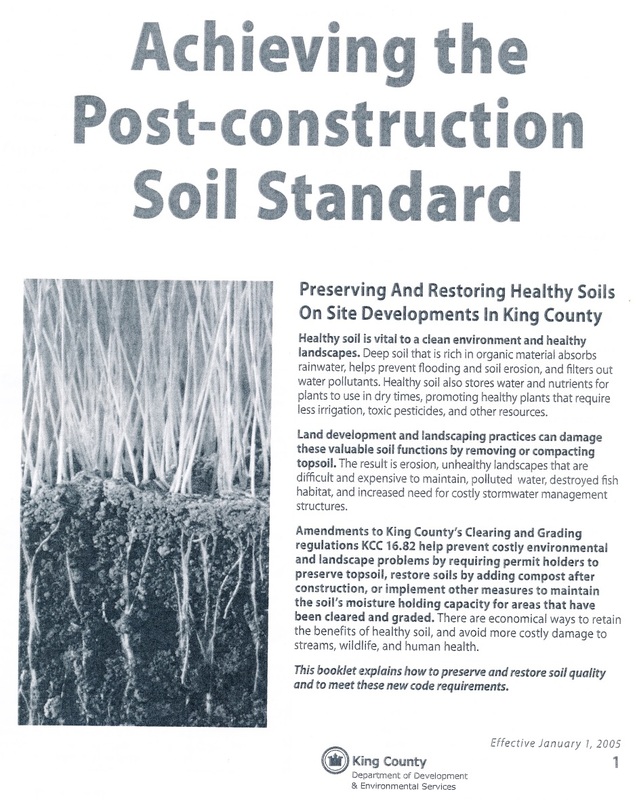 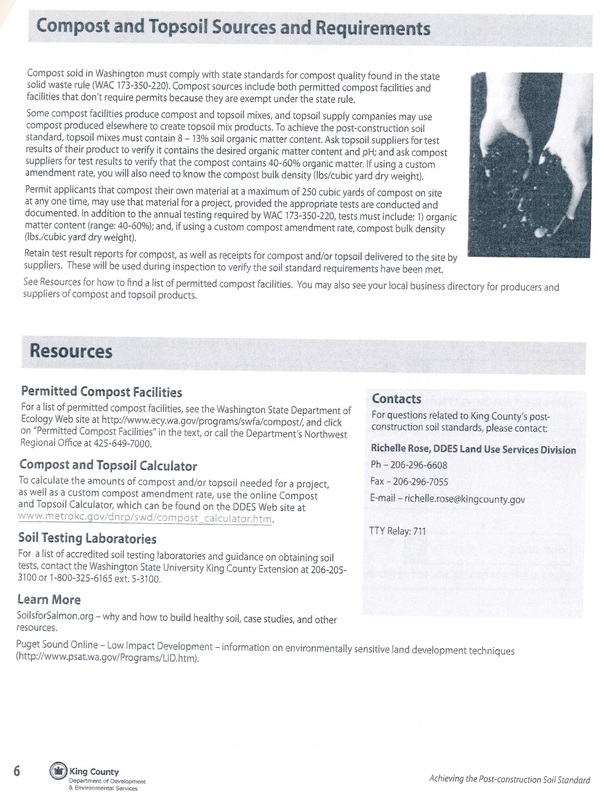 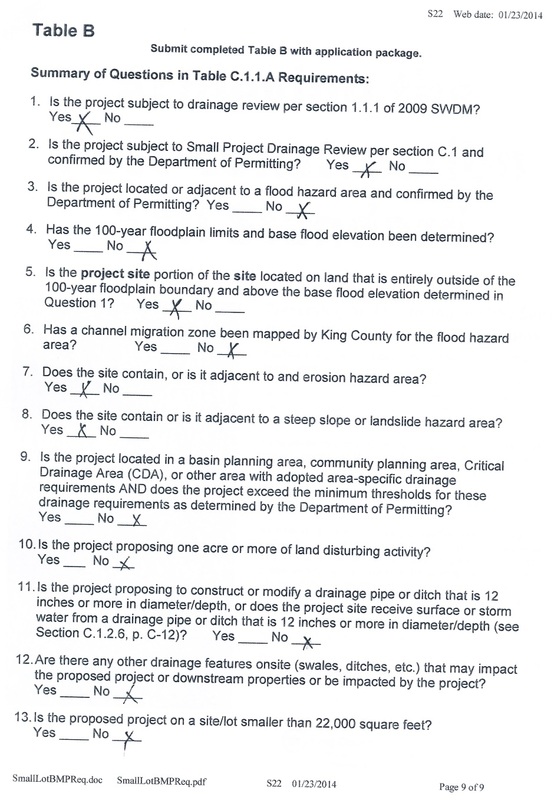 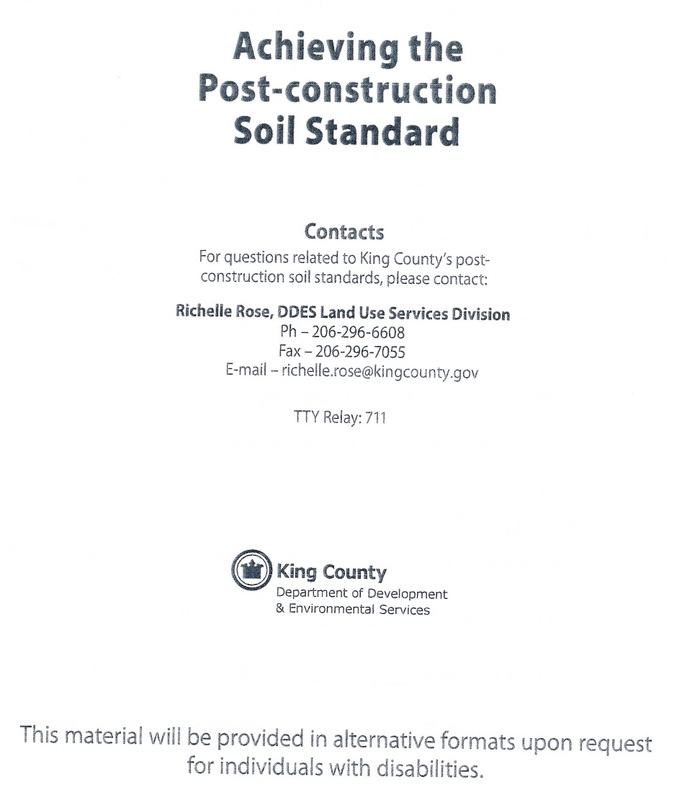 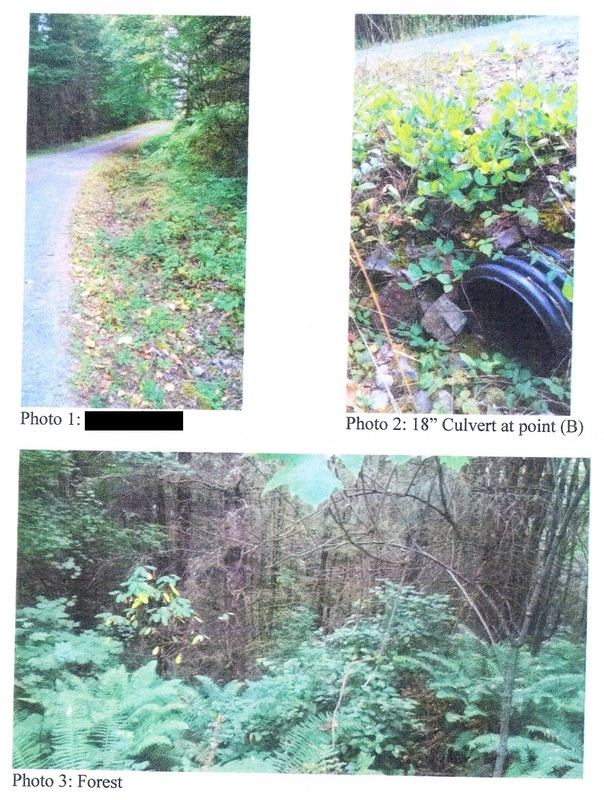 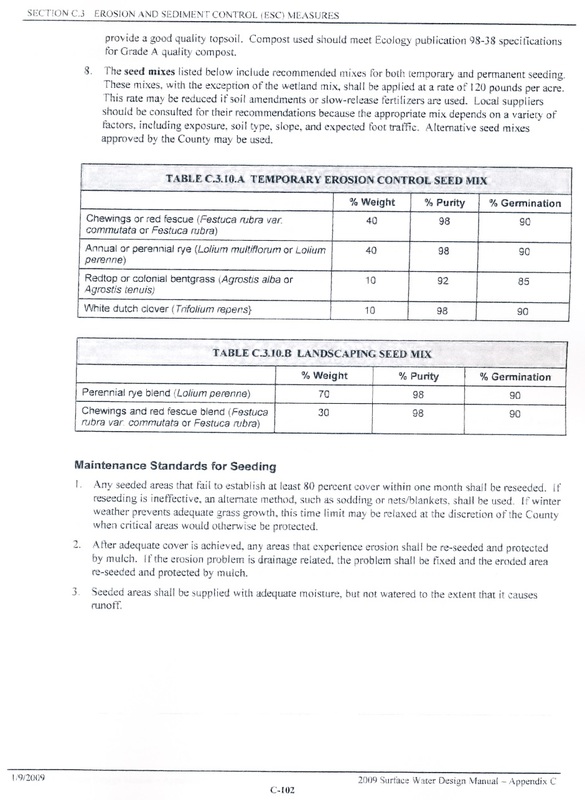 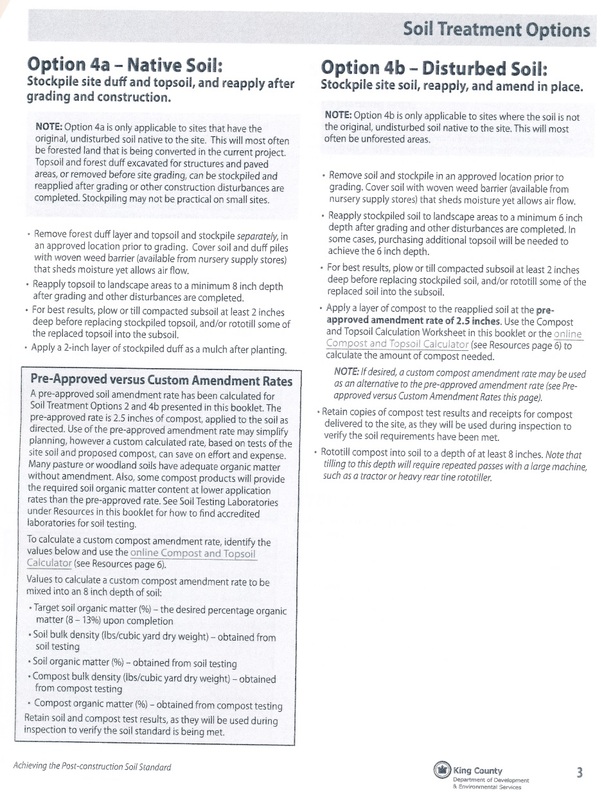 King County requires a drainage plan prepared by a drainage engineer that is licensed by King County. 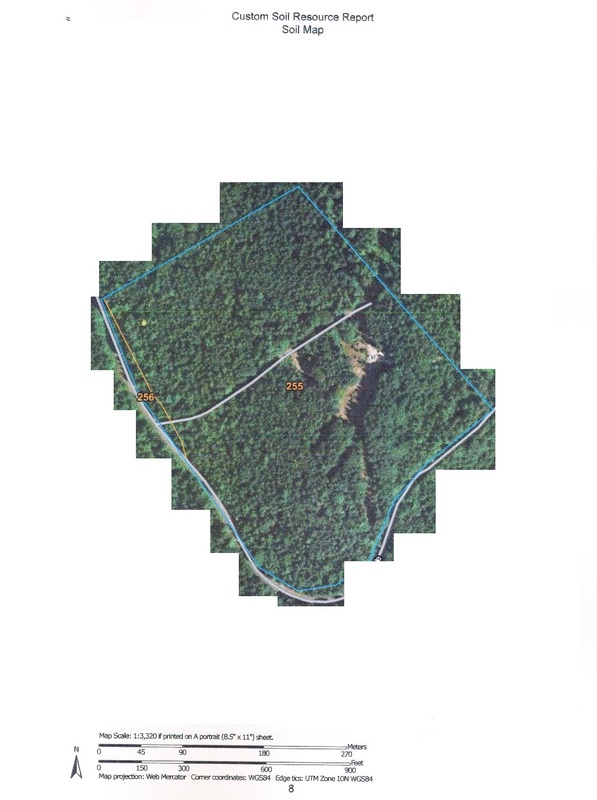 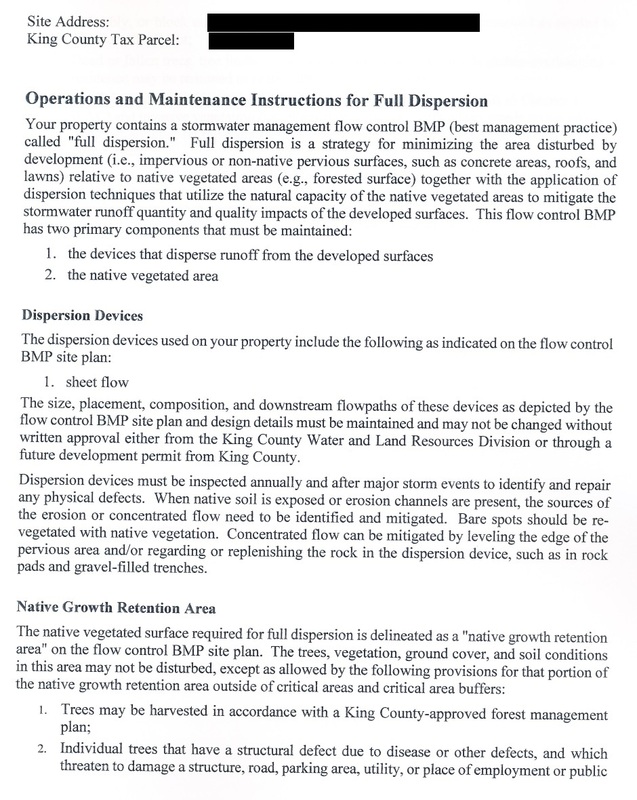 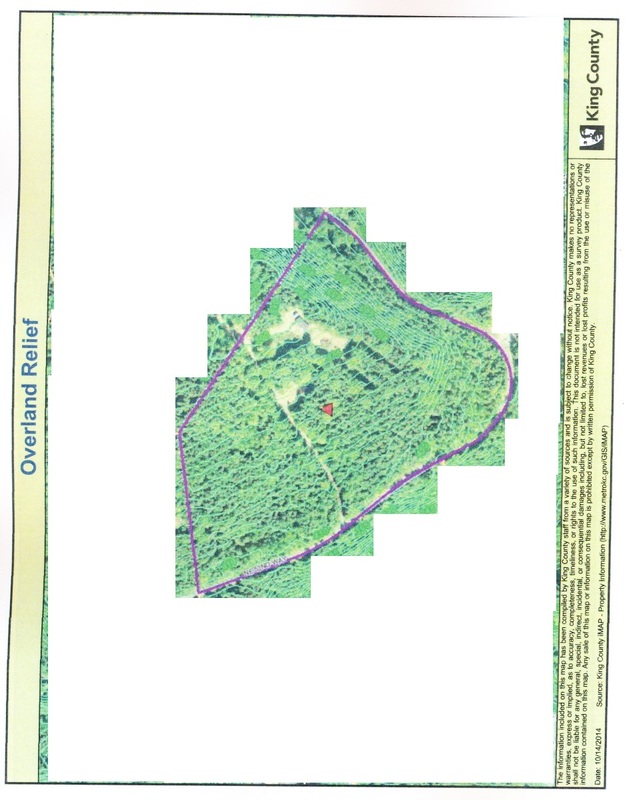 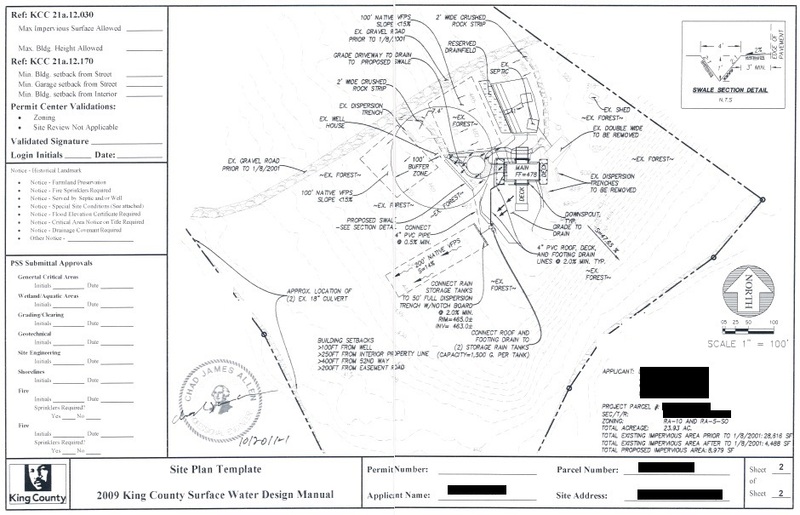 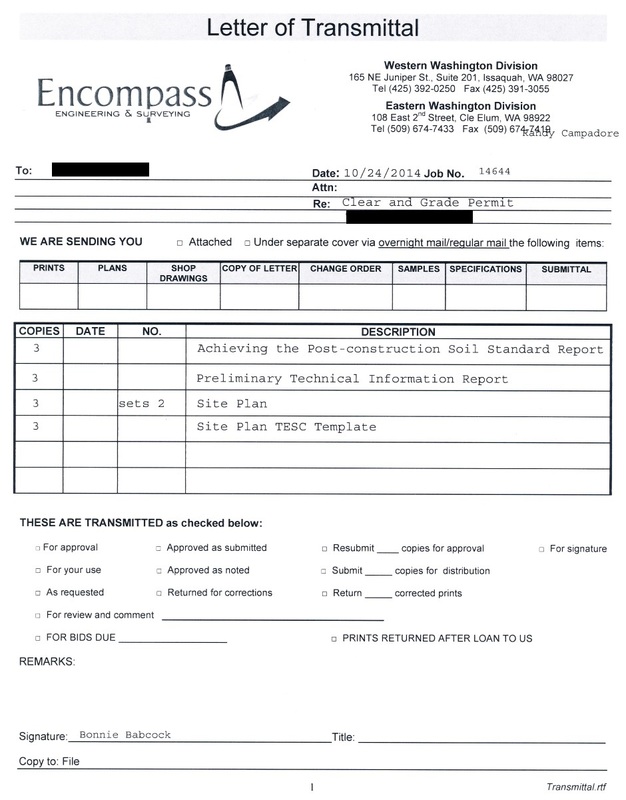 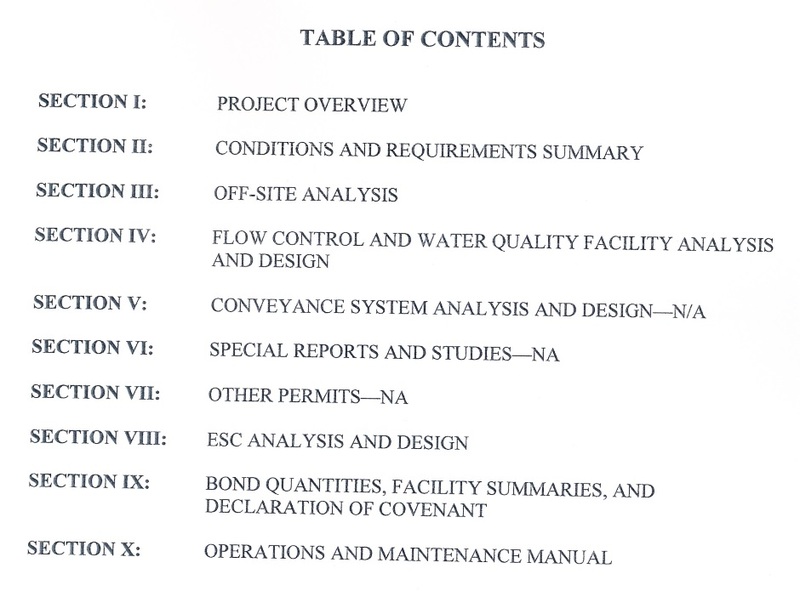 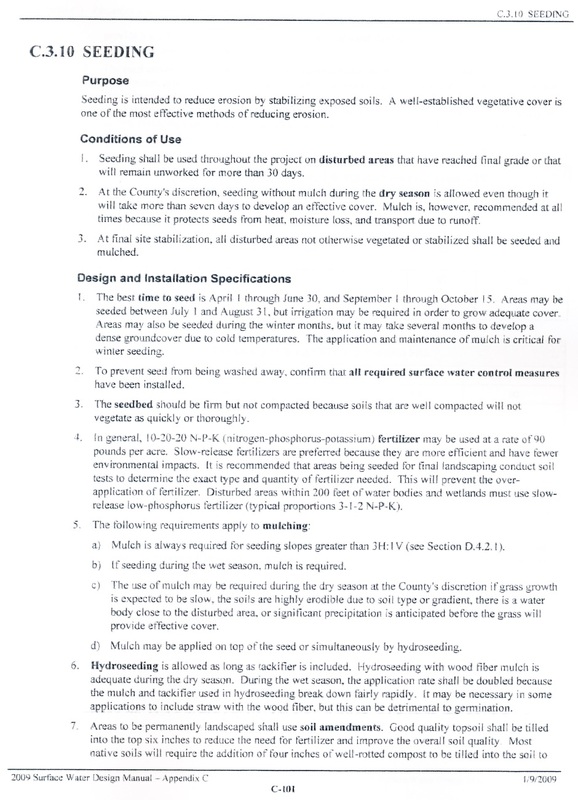 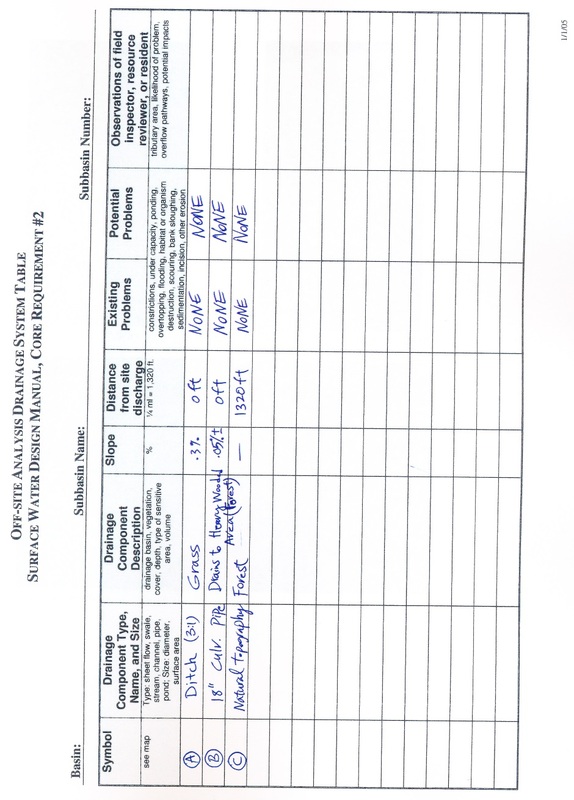 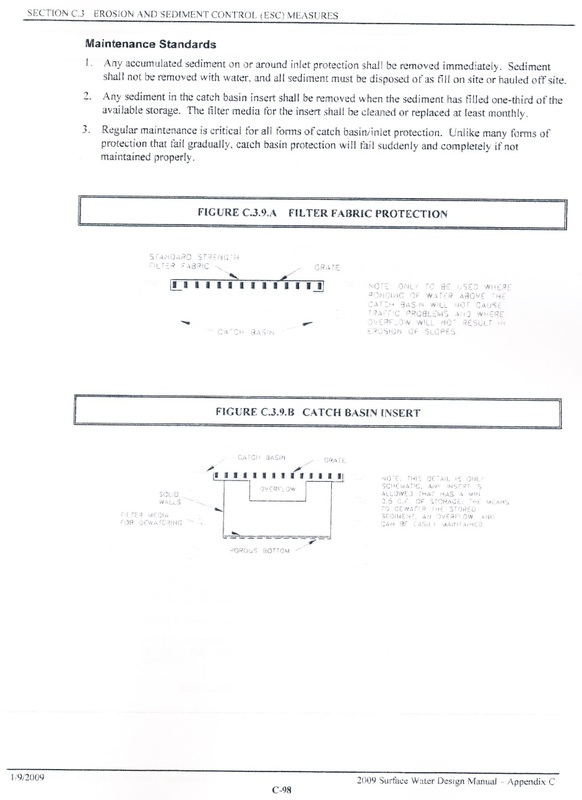 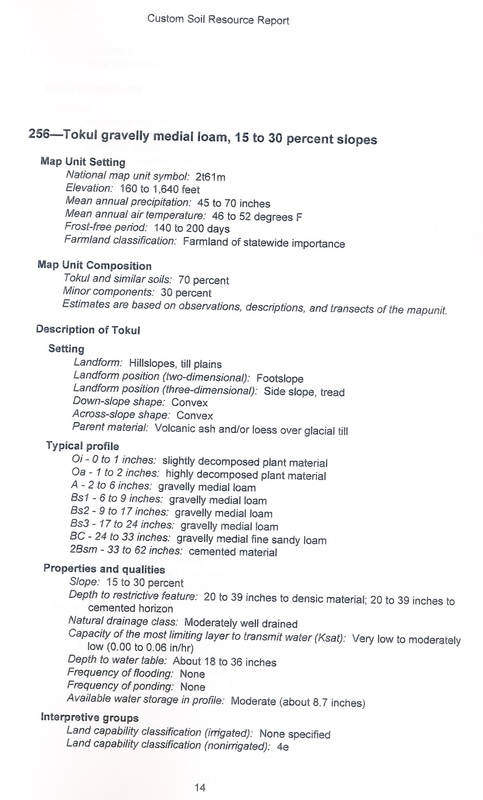 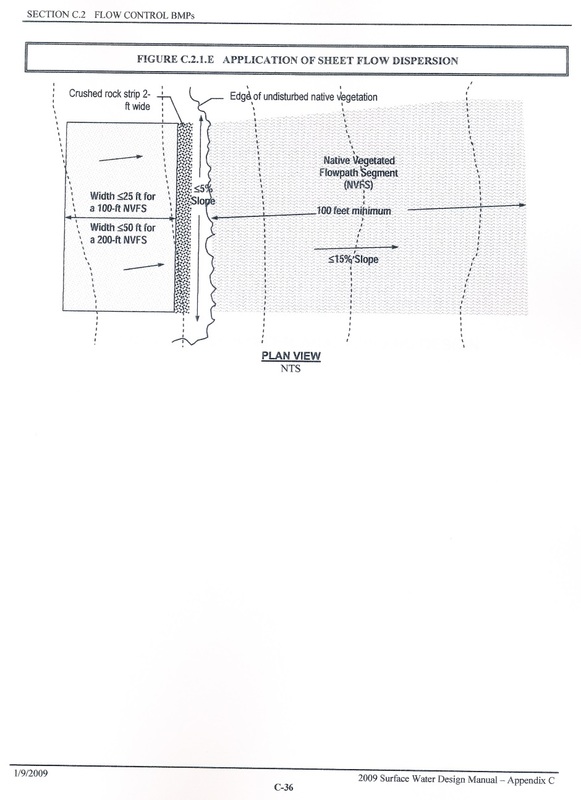 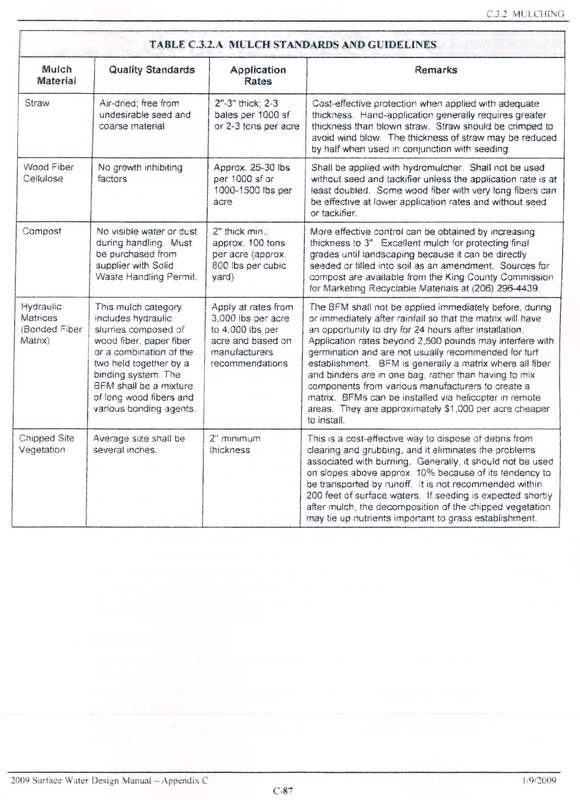 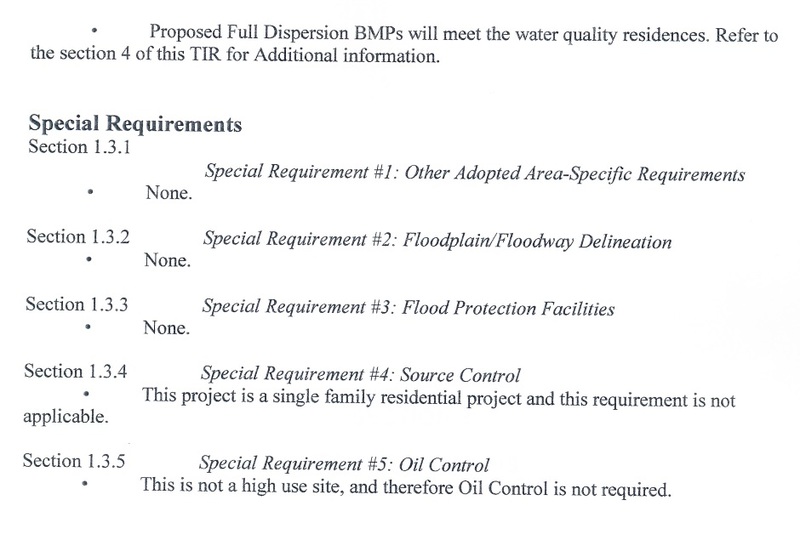 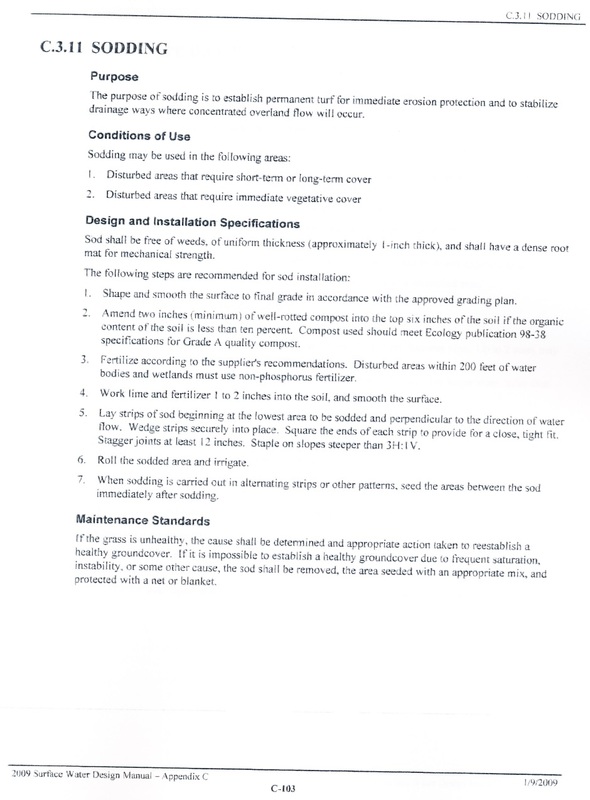 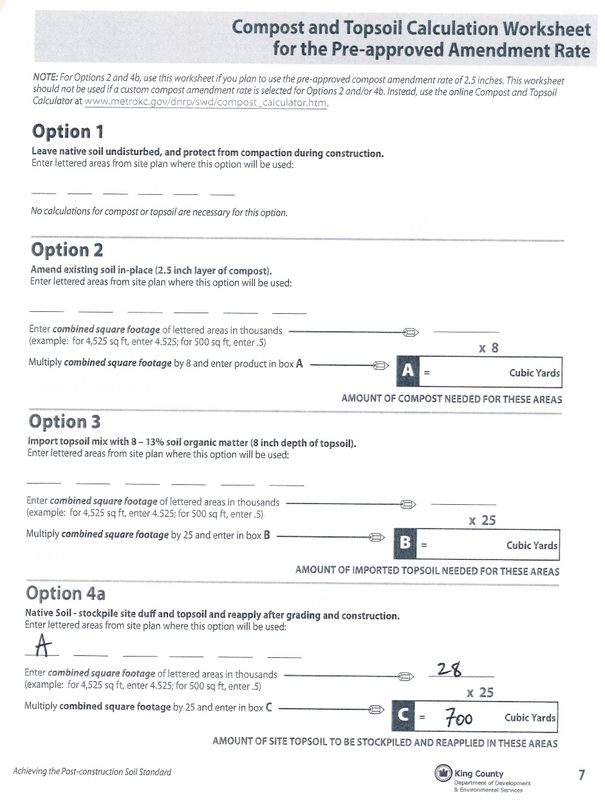 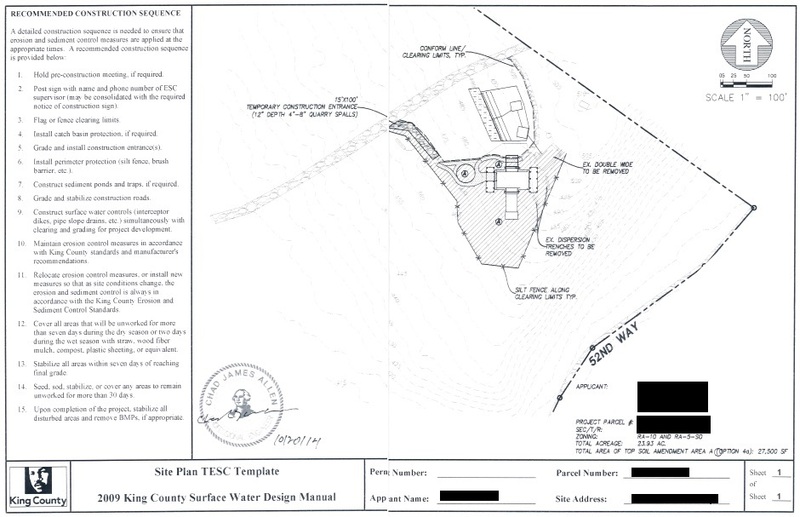 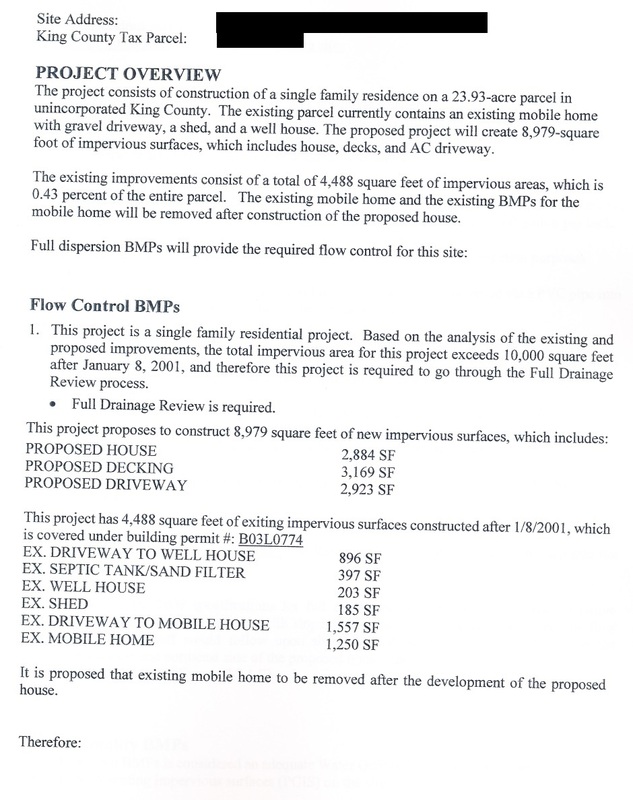 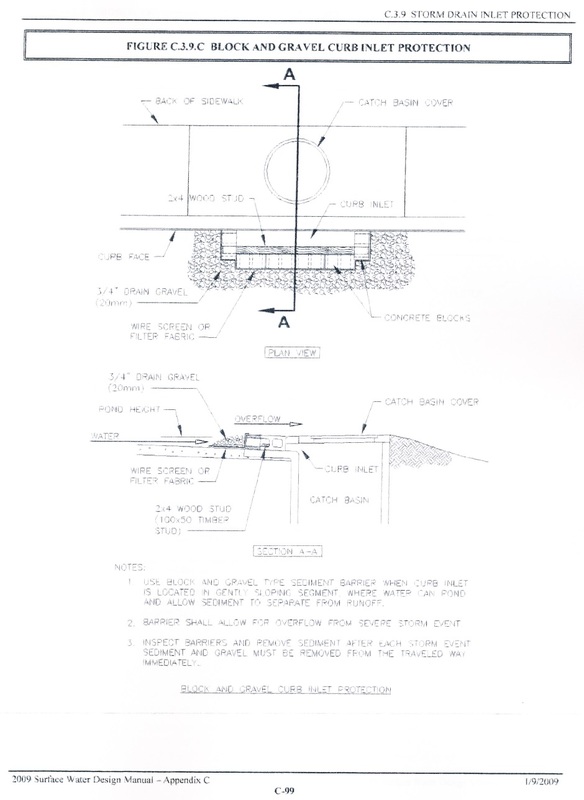 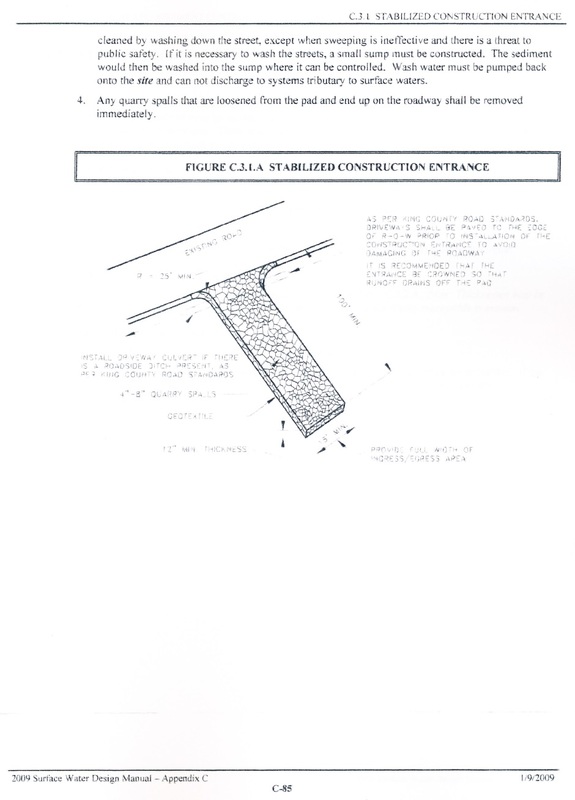 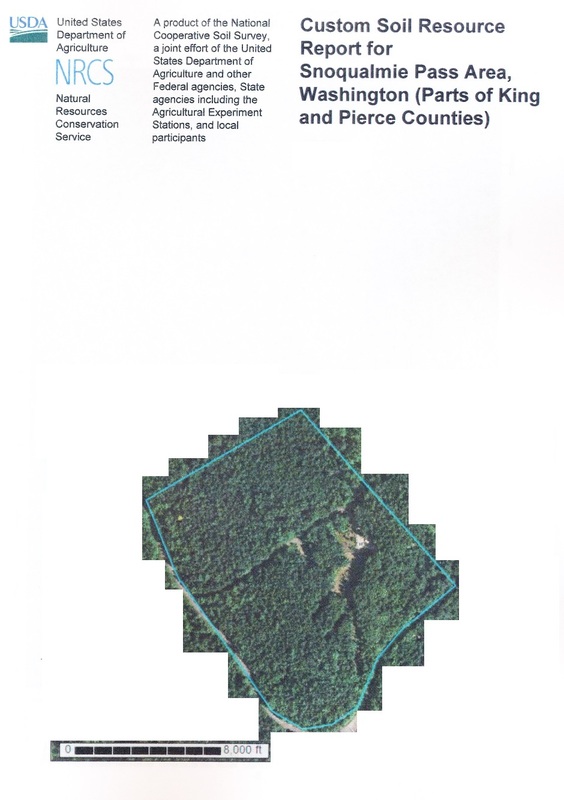 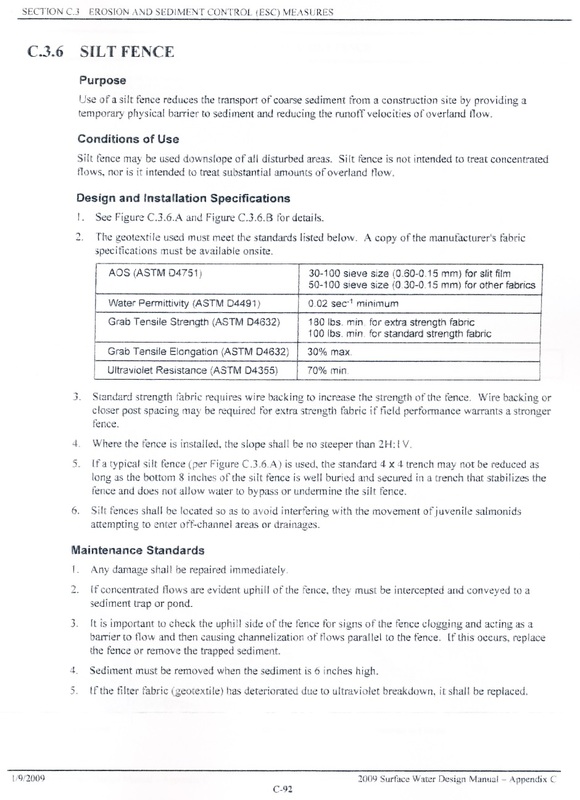 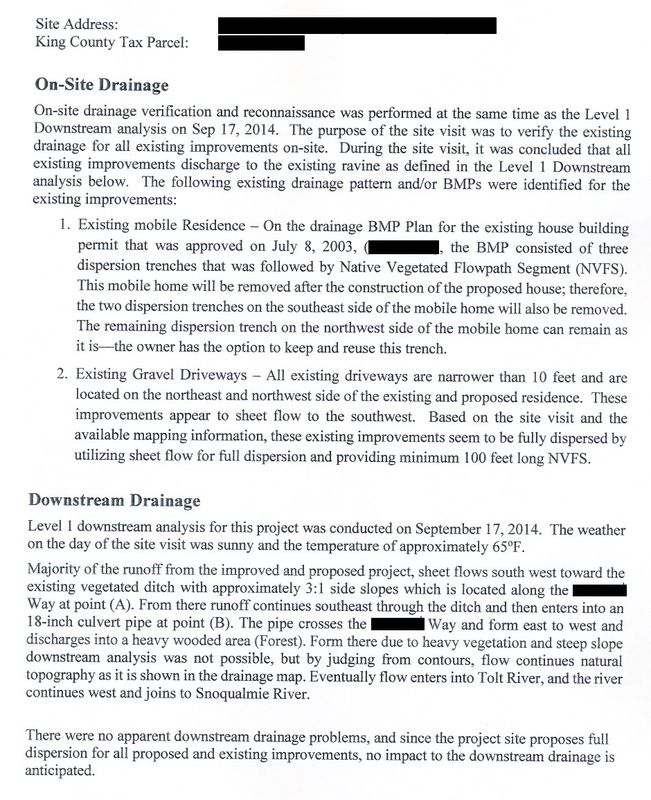 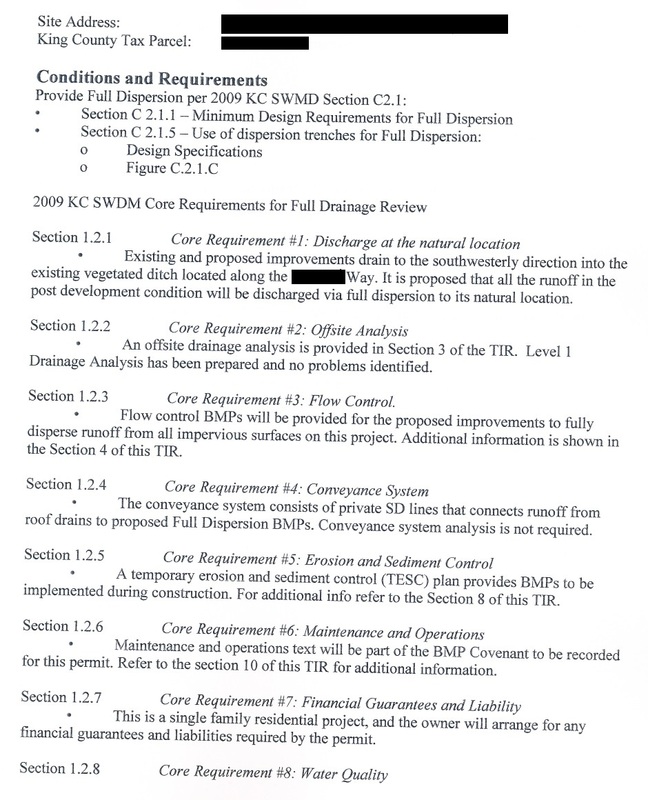 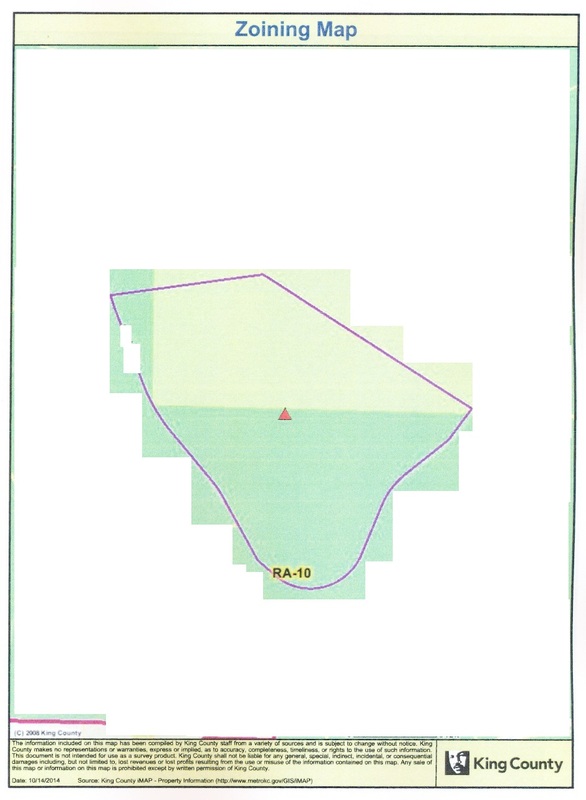 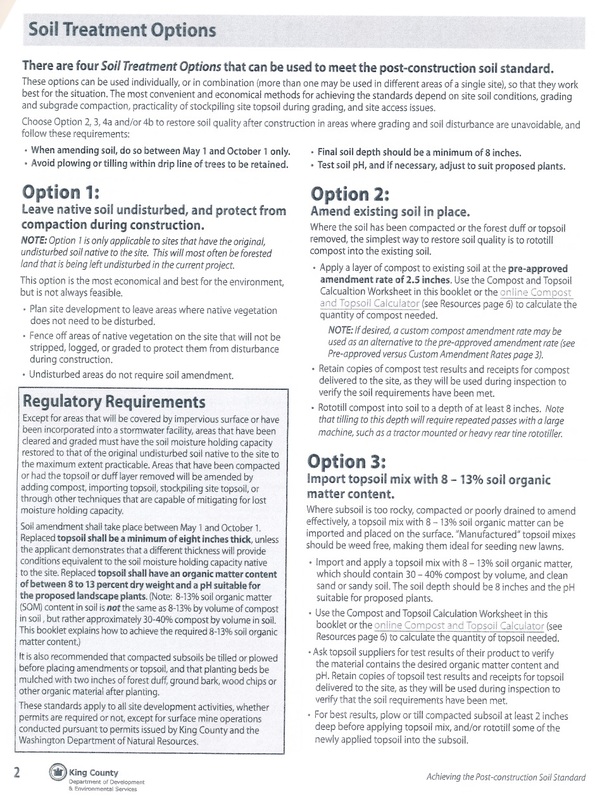 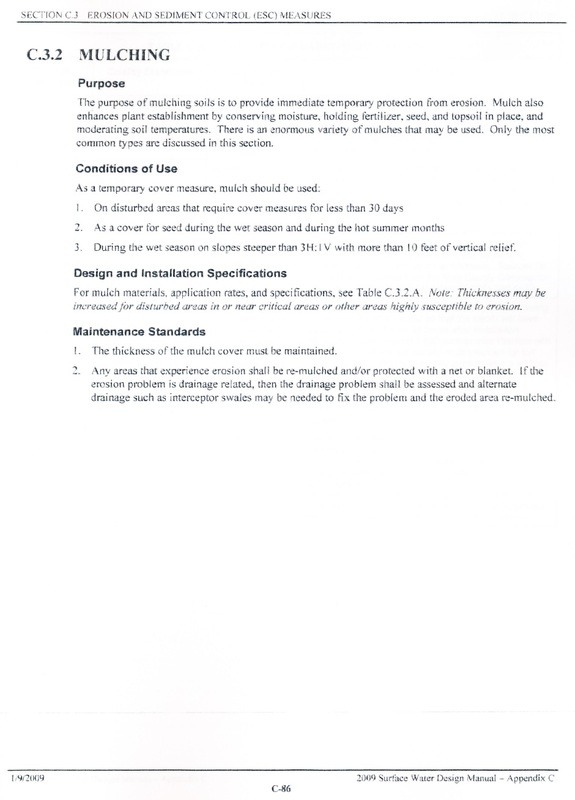 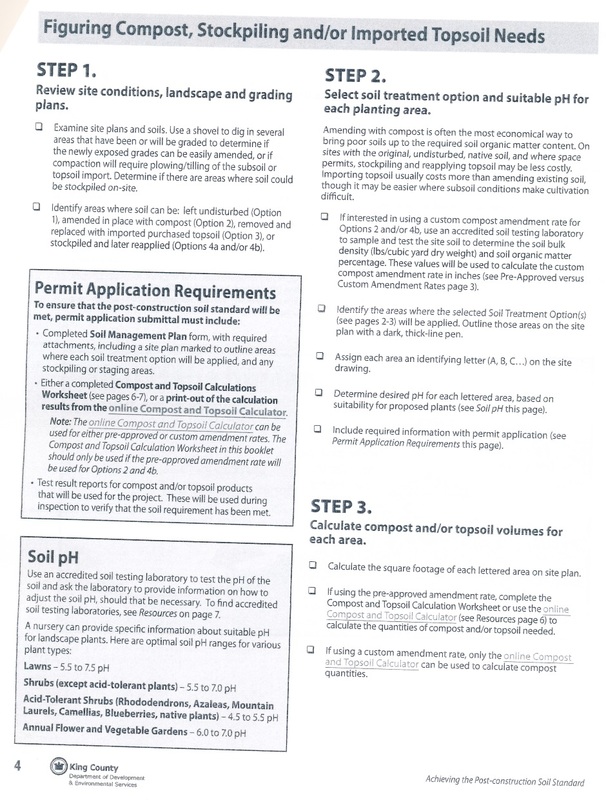 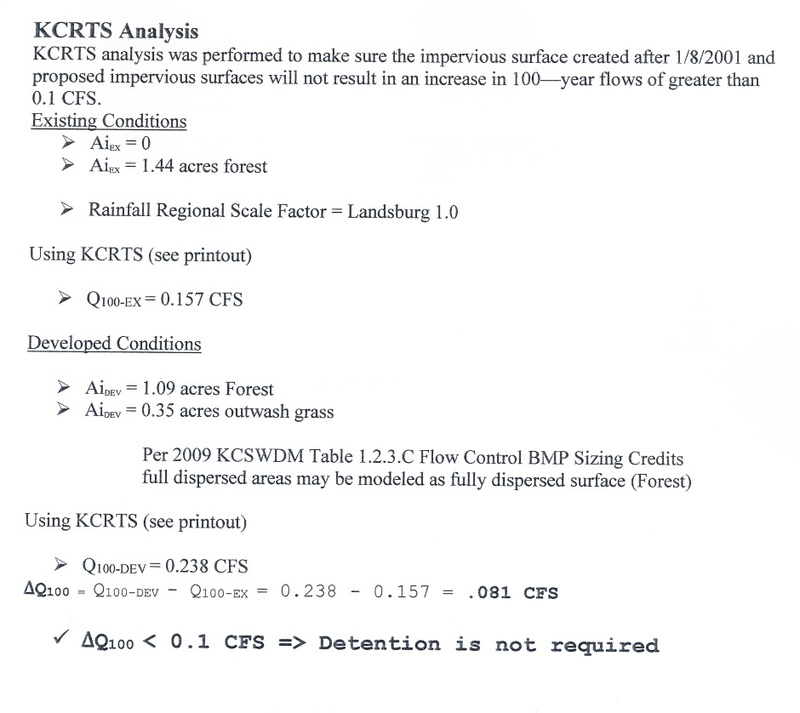 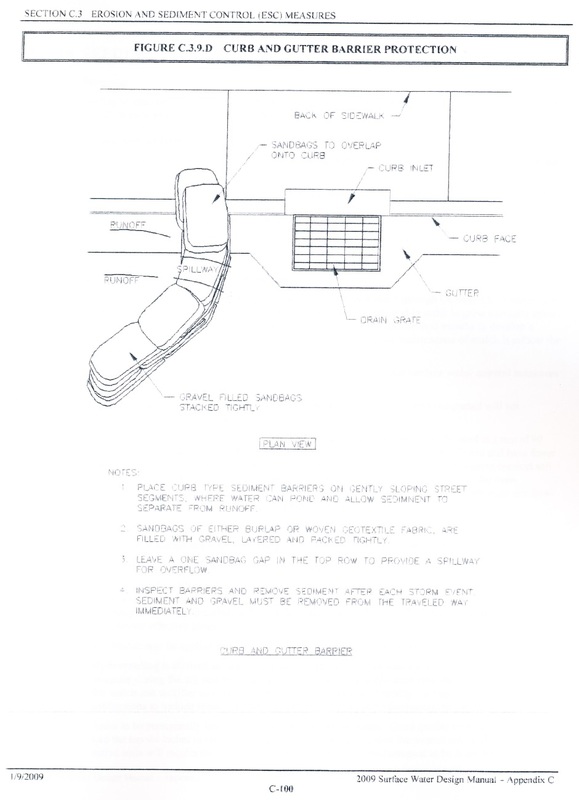 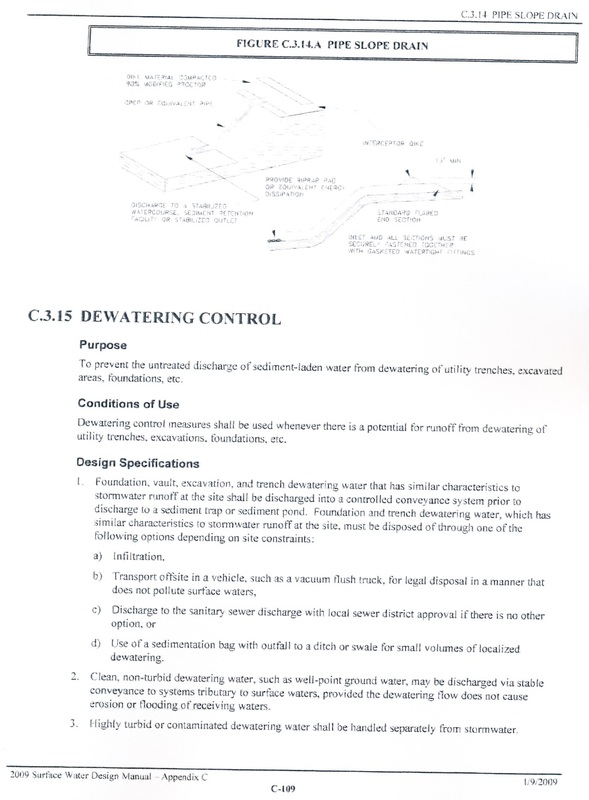 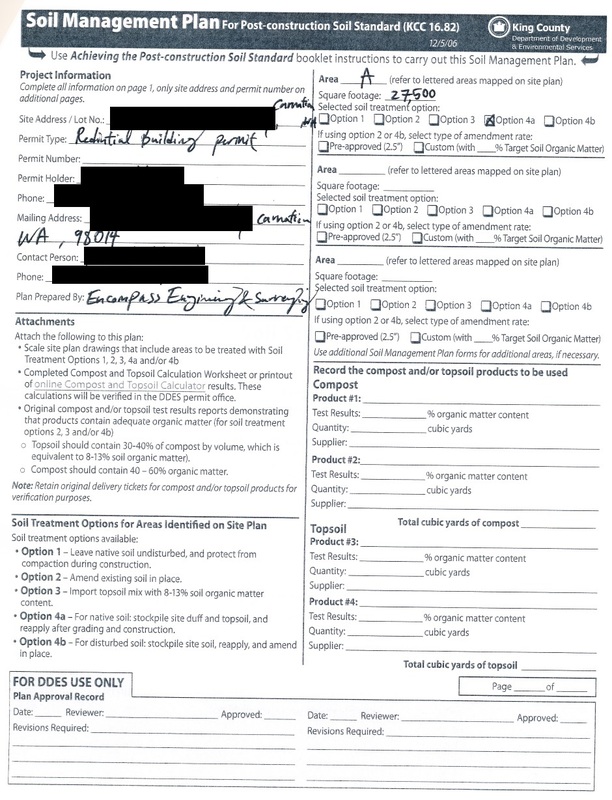 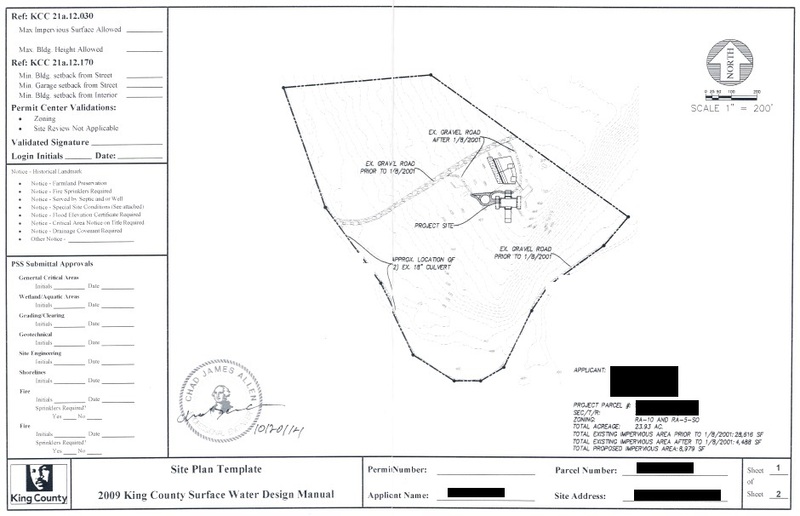 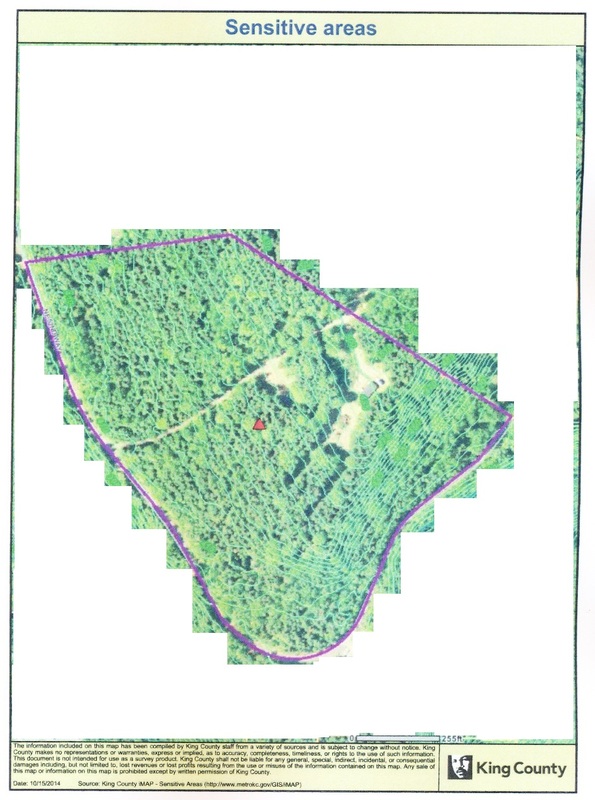 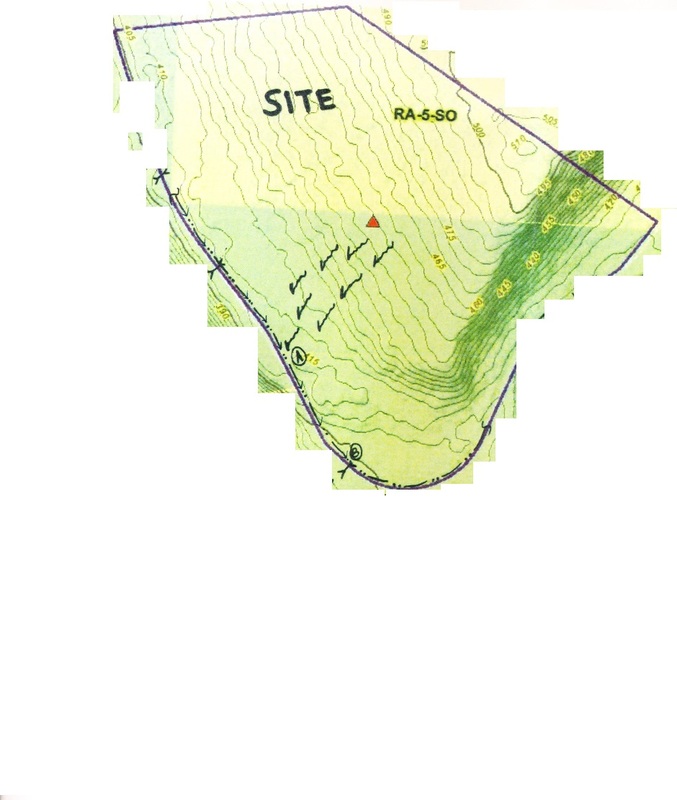 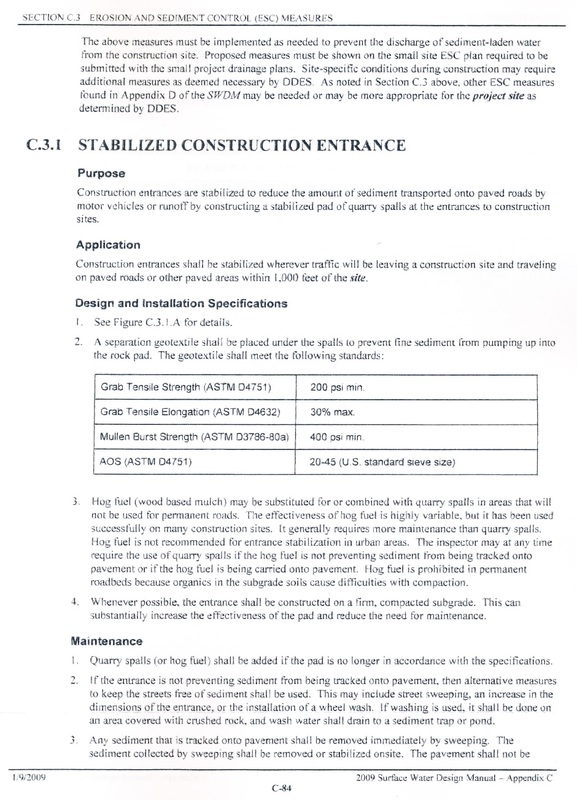 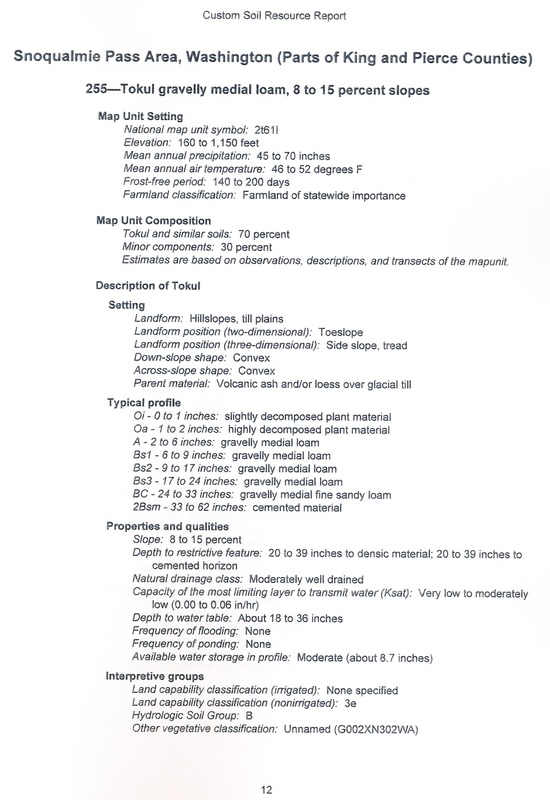 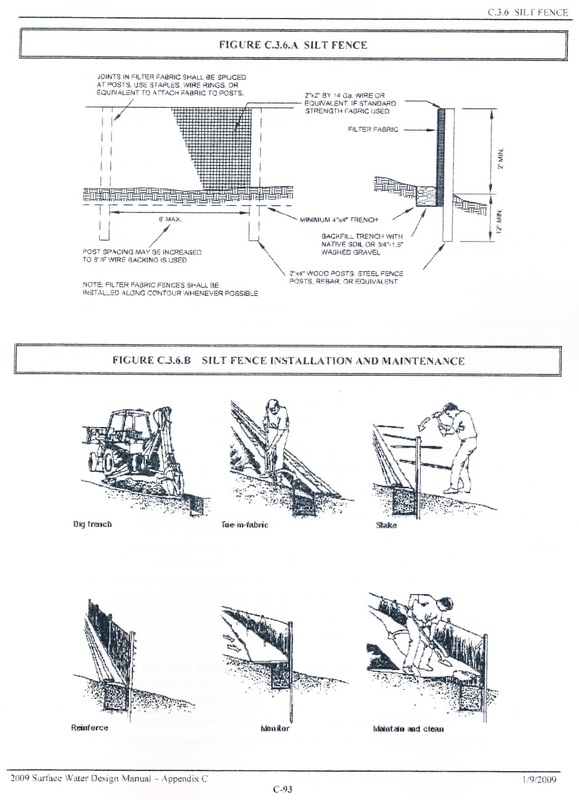 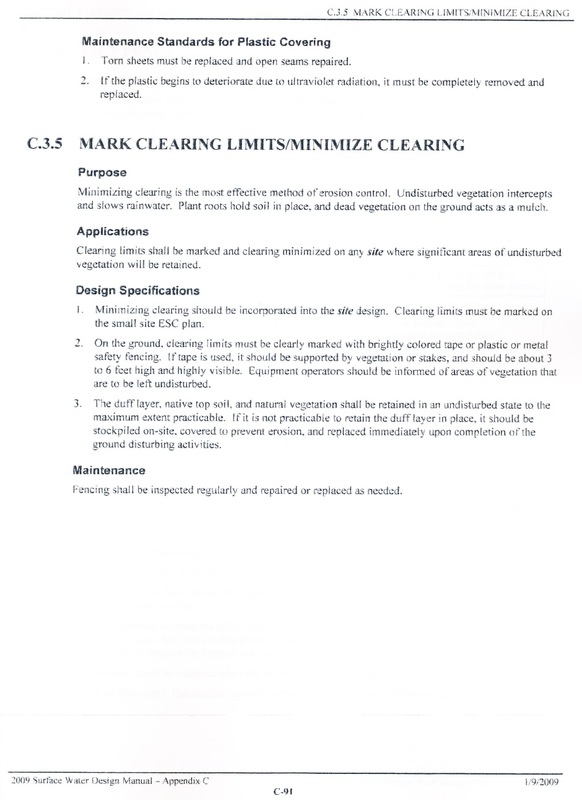 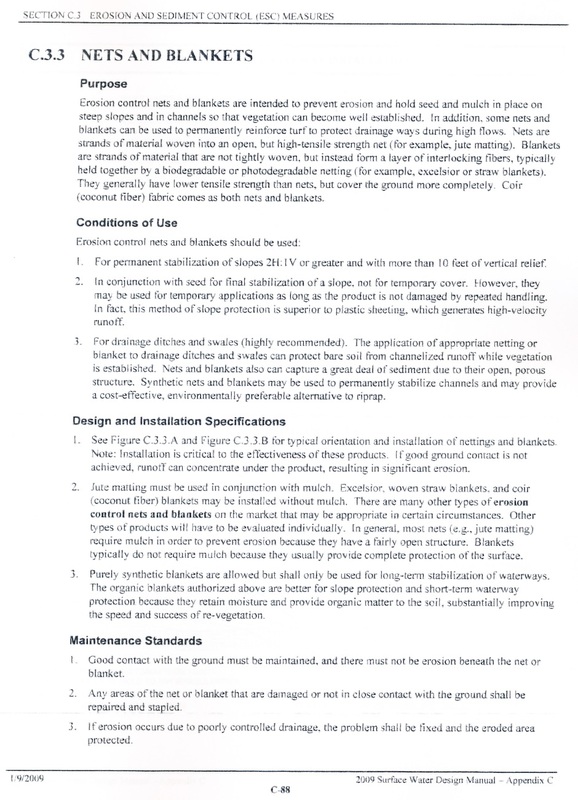 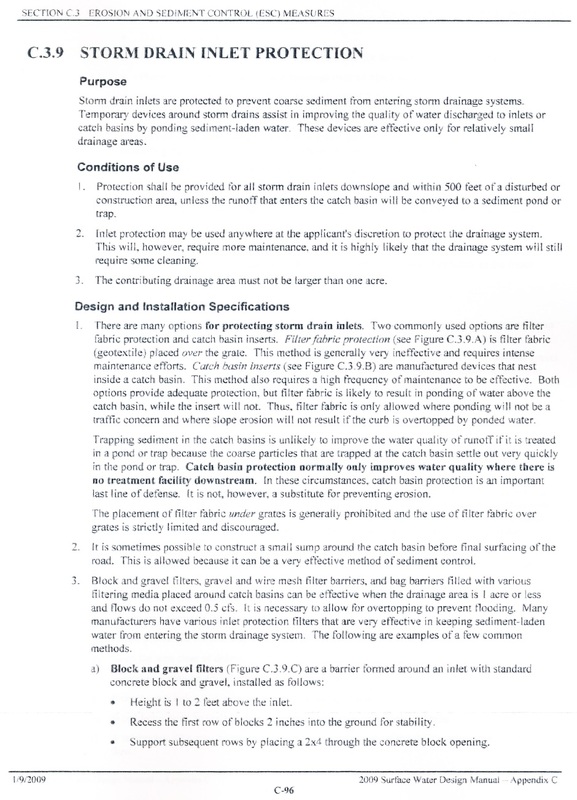 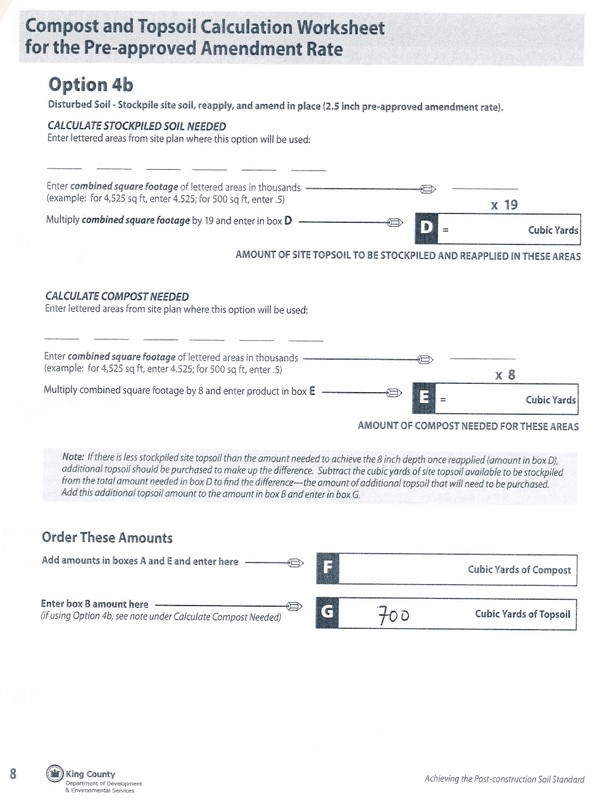 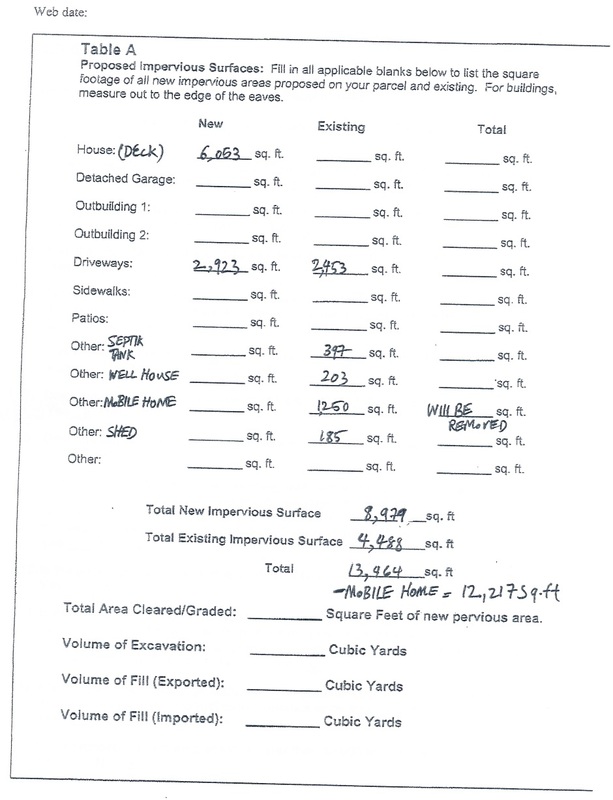 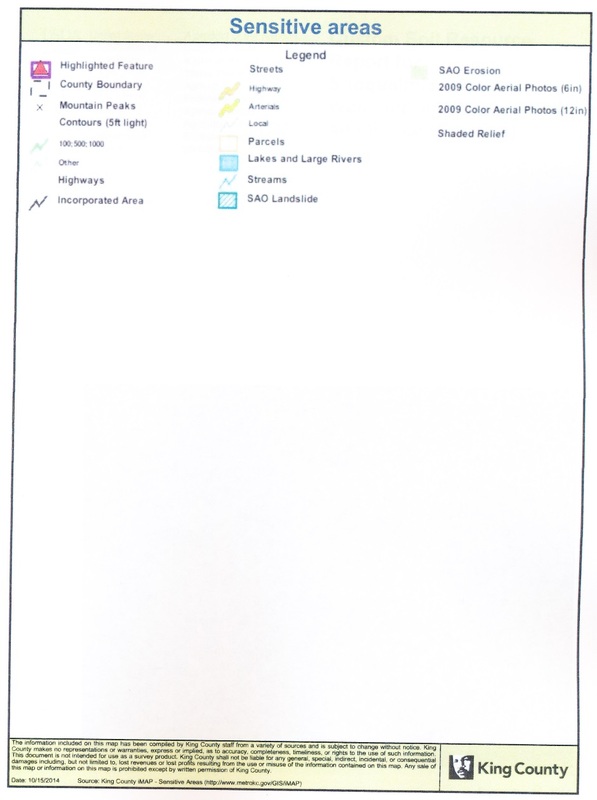 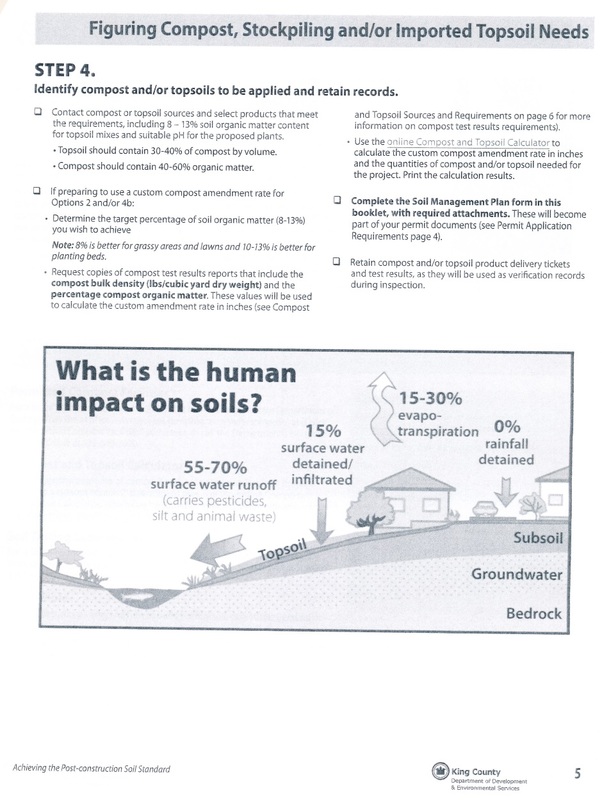 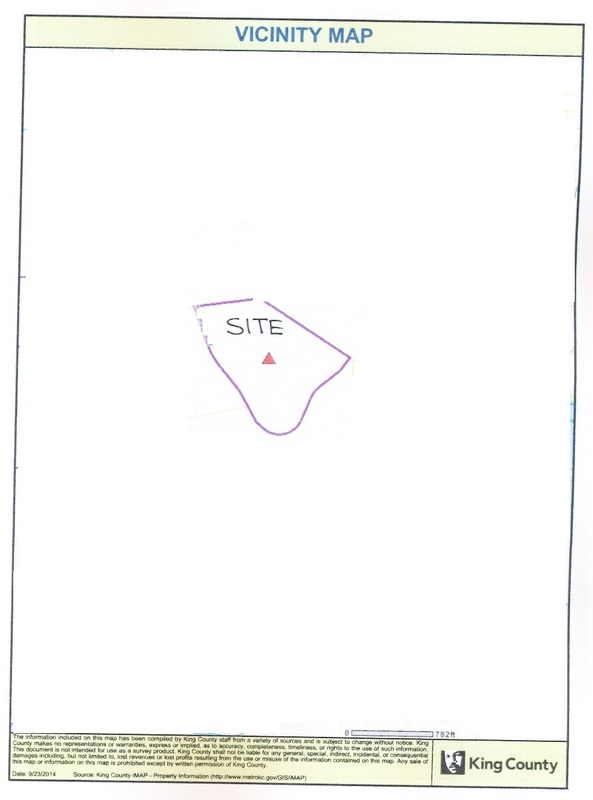 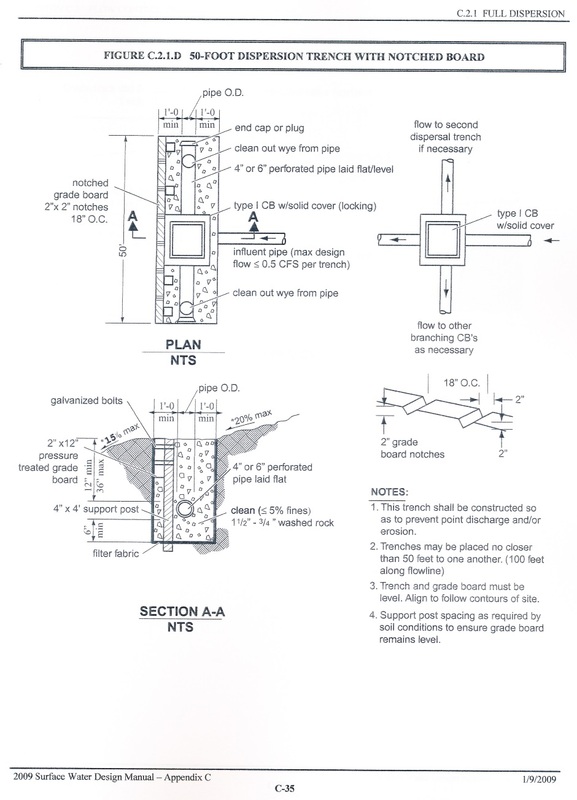 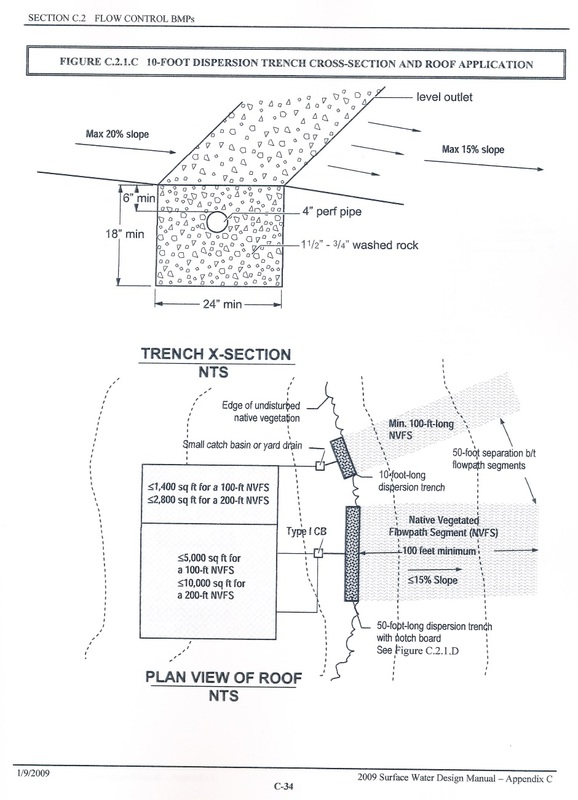 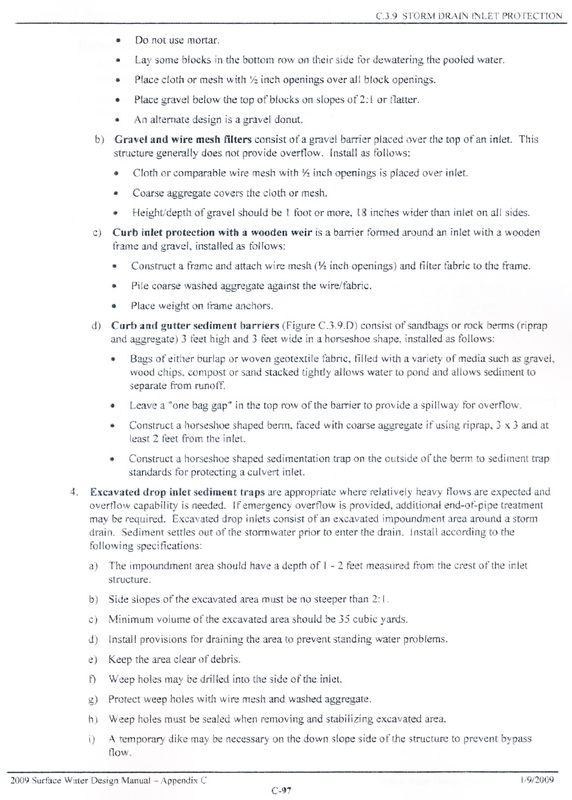 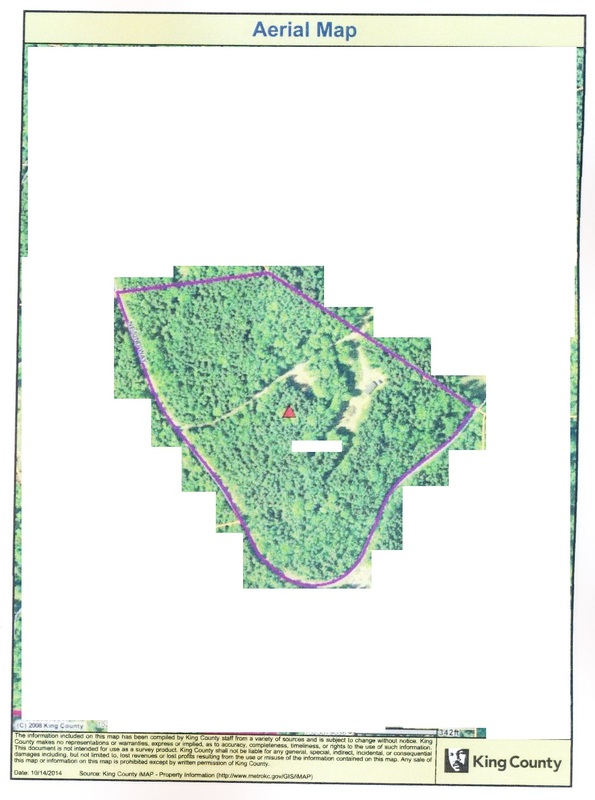 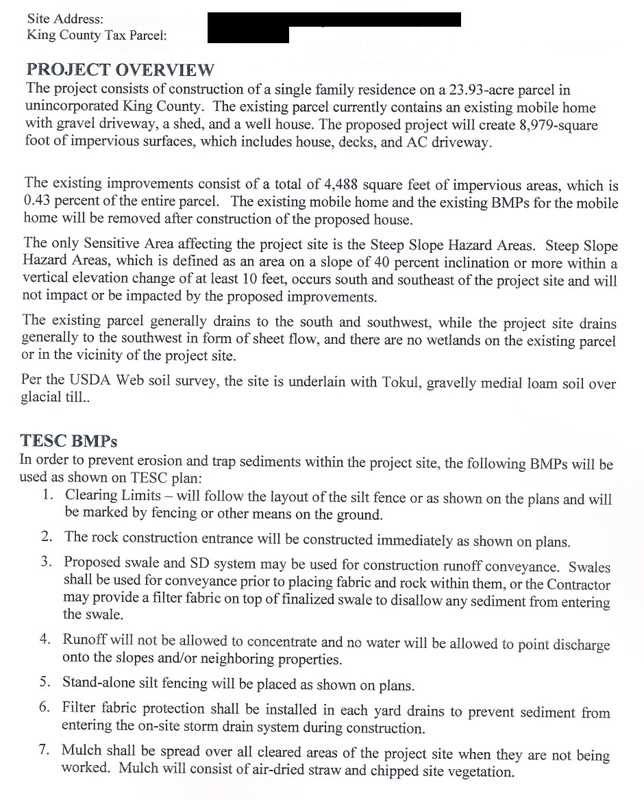 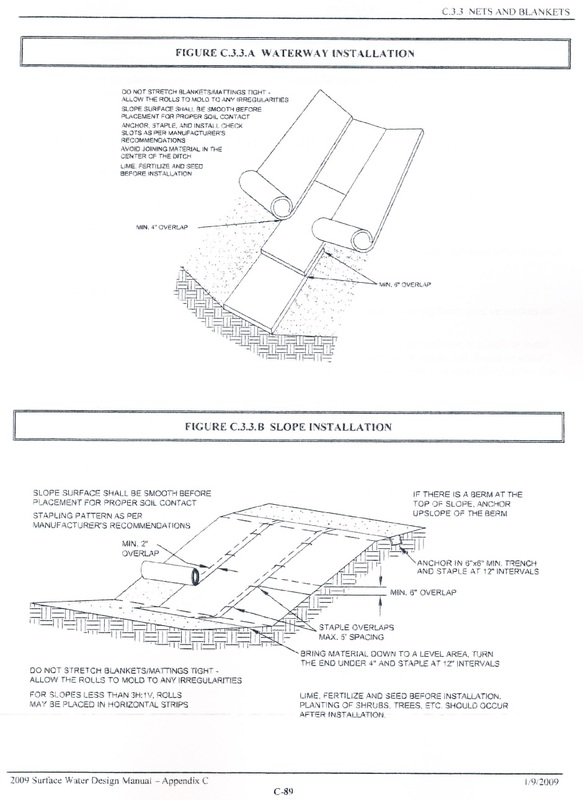 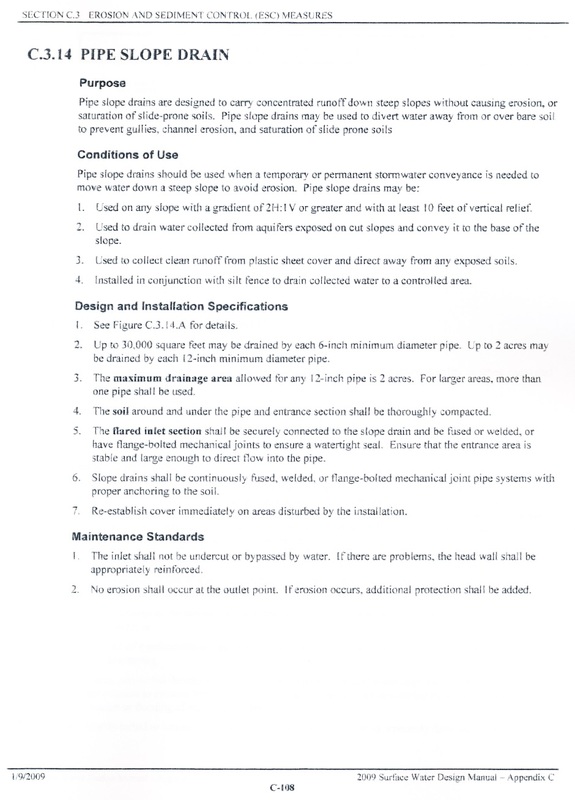 The following drainage plan was prepared by the drainage engineers I hired to produce the drainage plan. 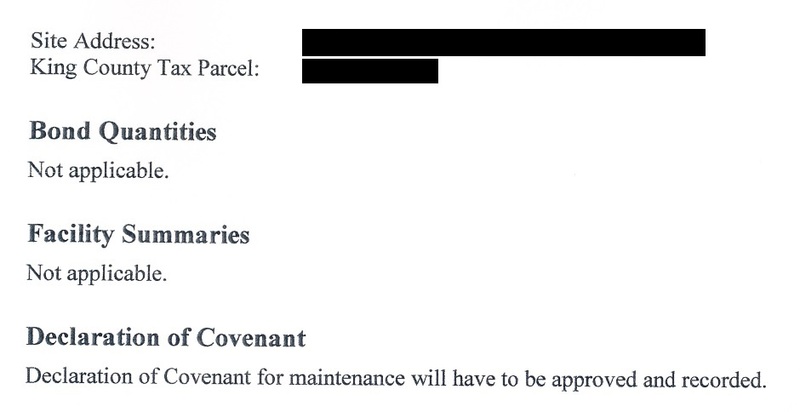 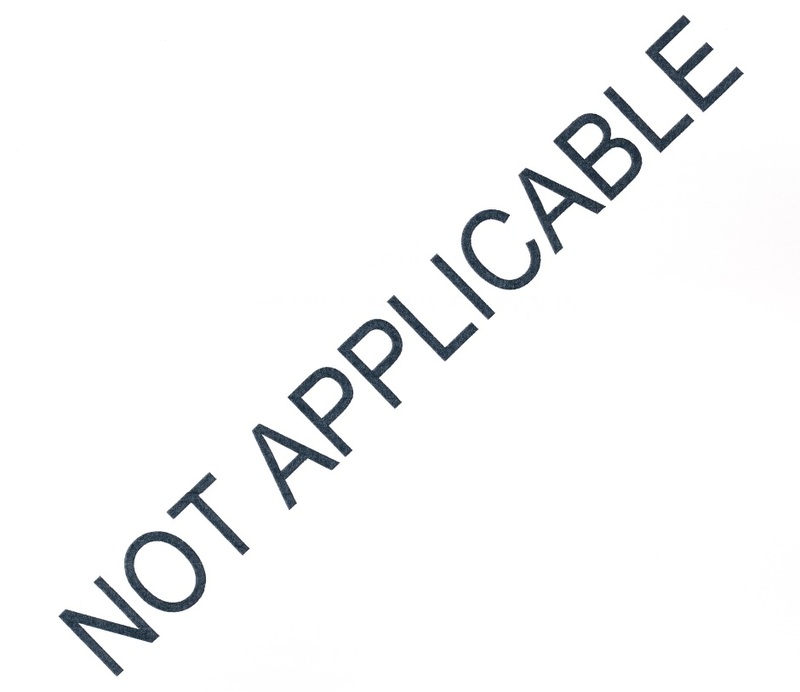 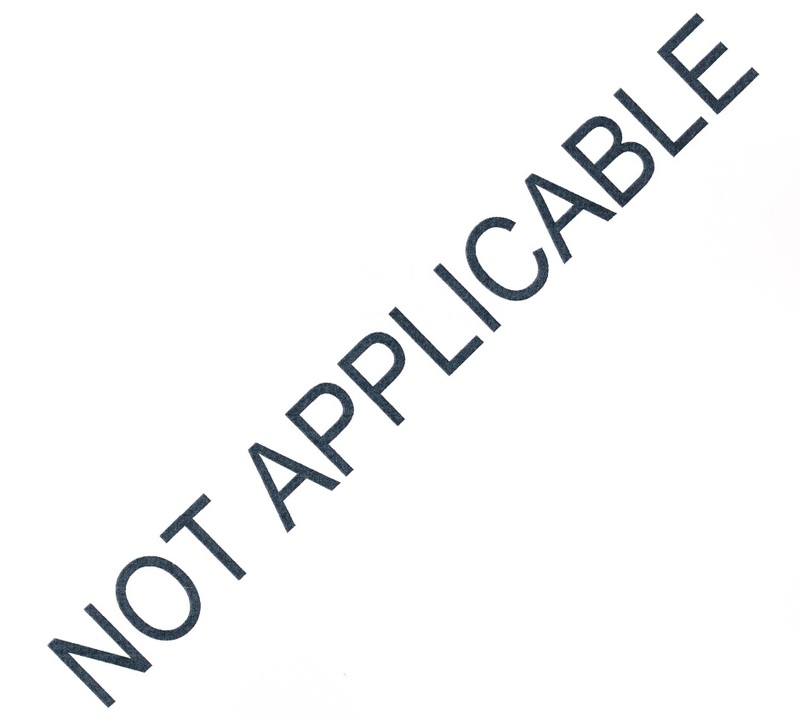 I have blanked out some personal info.